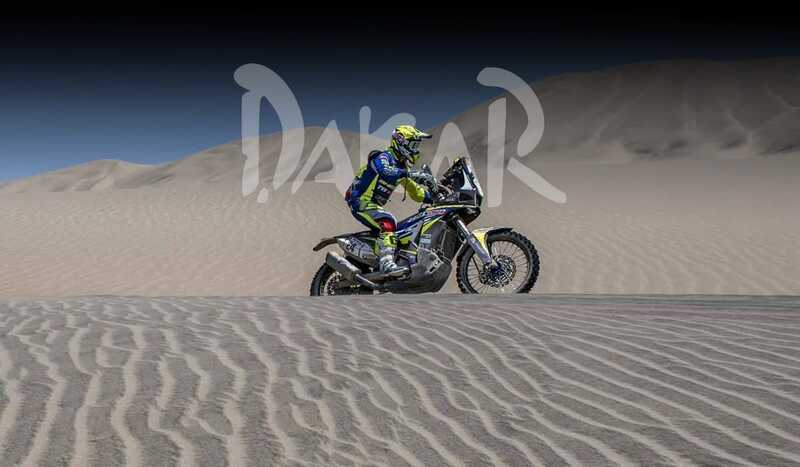 Stage nine of the rally saw another motocross style mass-start with riders setting off in waves of 10, determined by their finishing positions from the previous day’s stage. Heading into the dunes for the 313-kilometre timed special, the first group of riders stuck together for the majority of the stage. Although it was in fact two riders from the second group who took the honors today, the top riders in the overall crossed the line just seconds apart. By catching the lead group, Michael Metge of the Sherco TVS team was the stage winner, giving that team its first victory. The top American is now Andrew Short after yesterday’s departure of Ricky Brabec. Short has been turning in one solid performance after another and now finds himself in fourth overall. Michael Metge gave the Sherco TVS team a victory on stage 9. Matthias Walkner and Toby Price. Photo, Marcin Kin.